It's an on-going discussion that as technology advances, online shopping will continue to increase, even to the point where virtual shopping in your living room will be the next step. 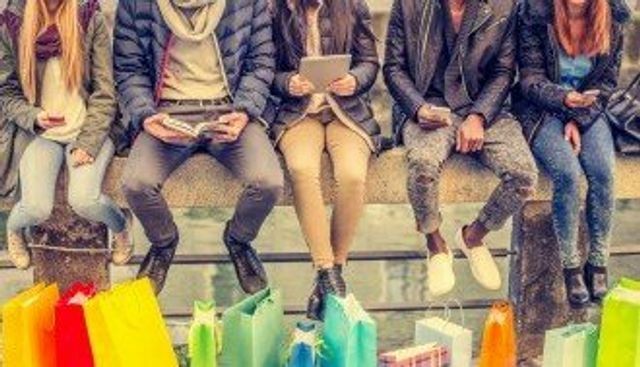 The article below discusses how Big Data will save offline retail if retailers adopt new strategies to overcome the obstacles. For example, only 27 per cent of visitors feel like retailers provide a deeply desirable, VIP-like experience. Retailers must incorporate technology into their overall strategies to create a holistic, successful experience. Good news for retailers, offline shopping occupancy rates reached 93.2% at the end of 2015, showing physical retailing could be here to stay. The question is, which retailers have the strategy in place to survive? Key challenges in shopping malls today Audience duality Rise of millennials Remember getting dropped off at the mall by our parents; it was the place to hang out. Now, socializing is motivated by screens and technology, Limited visibility In the past, malls lacked the ability to provide personalization but that is changing rapidly, How shopping malls can continue to thrive Leverage Big Data or get left behind. 26% of retailers say they plan to use data analytics to make better buying decisions by the end of 2016. Malls should do the same: Expand reasons why people should visit. Expanding with attractions like movie theaters, fitness centers etc Use data to enhance interactions with retailers. Armed with the right information, mall operators can make smarter decisions about where to place new retailers and what to charge for each location.